The formation of adults and process by which they are initiated into the Church is known as the “Rite of Christian Initiation of Adults,” or RCIA. Although it is primarily the process by which people become full members in the Roman Catholic Church, RCIA welcomes serious inquirers at all levels of knowledge, faith and intent. Over a series of meetings involving classroom and group discussion these adults take time to properly discern the exciting possibility of journeying into full communion with the Catholic Church through one or more of the Sacraments of Initiation (Baptism, Confirmation, and Eucharist). 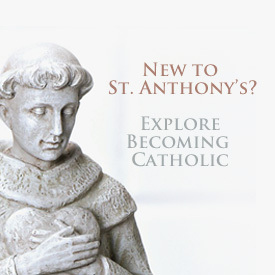 The RCIA Classes begin every September. These classes run through Easter (approximately through the middle to end of April). 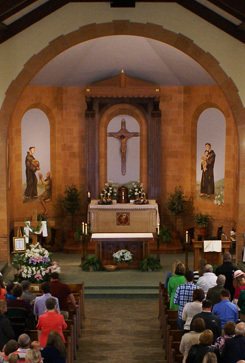 The Rites of Christian Initiation occur during Lent and participants are received into the church at the Easter Vigil, in the spring. There is no charge to participate in RCIA. 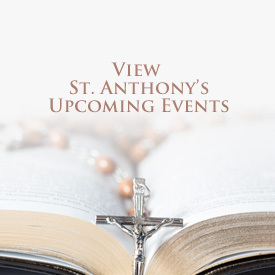 If you feel you are being called to know more about Catholicism and how to join the St. Anthony Church Catholic Community, please contact the parish office at 618-227-8236 to schedule a meeting with the parish priest/deacon.